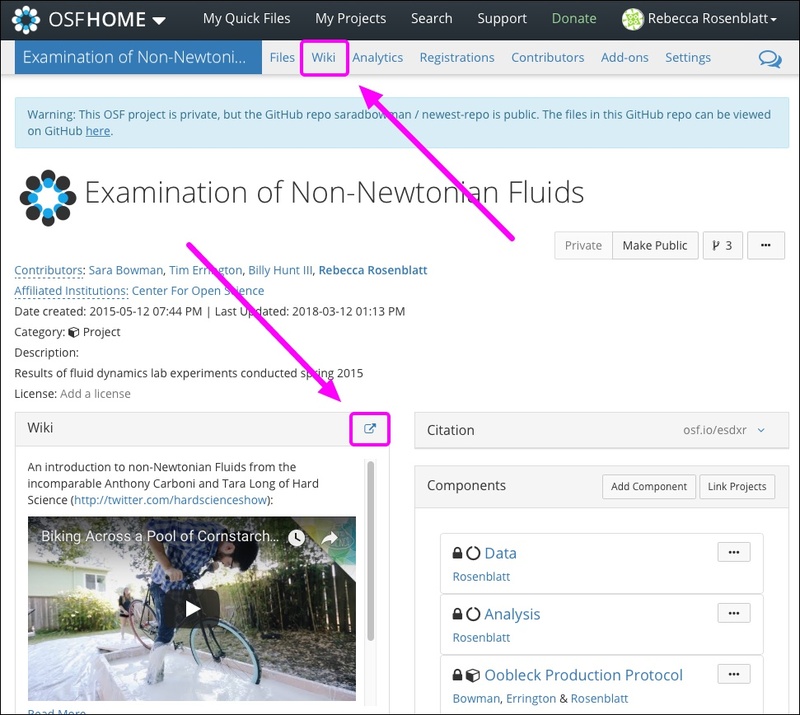 As your research grows, you can add and delete pages from your wiki to keep you and your contributors up-to-date and organized. 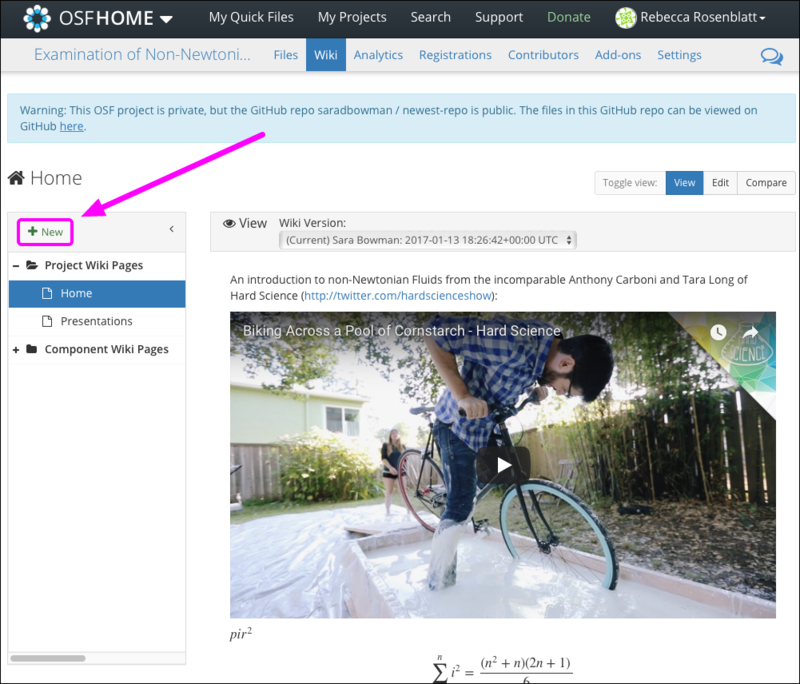 Click the +New button above the left sidebar. 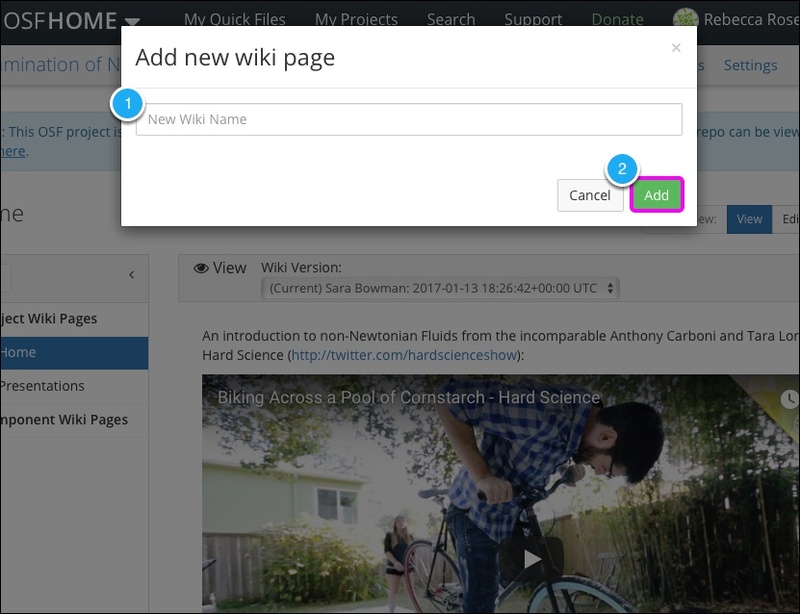 The "Add new wiki page" modal will appear. Enter the title of the page into the textbox. Then click Add. The new page will be added to your wiki. Open the page that you want to delete. The "Home" page cannot be deleted. 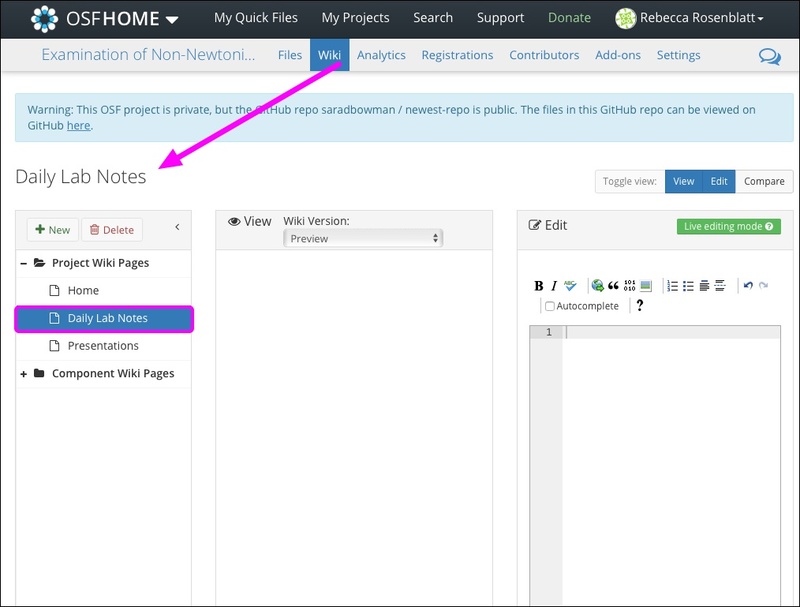 Then click the Delete button above the left sidebar. 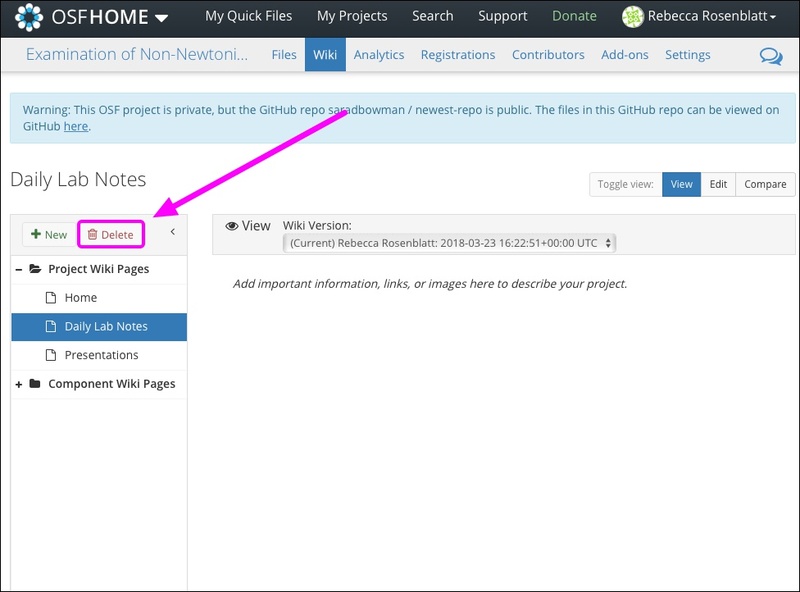 The "Delete wiki page" modal will appear. 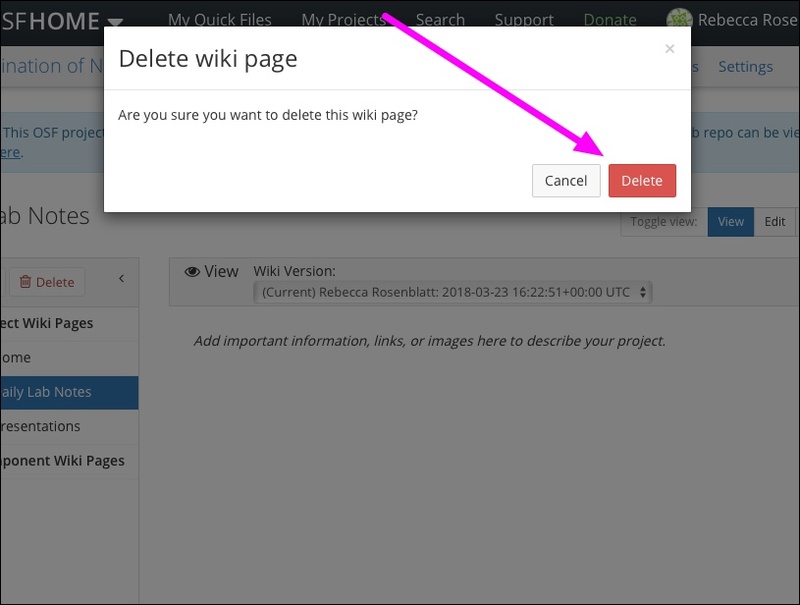 Click Delete to delete the wiki page. The page will be deleted from your wiki.